Hey guys. I'm looking at buying the mistress and after any feedback on people that have one or ridden one. I'll be buying the 28" version and wondering how the stability is on them. I currently ride a 9'6 x 32" board with about 160L. I can comfortably catch waves, trim and turn down the face with ease on that board. I have attempted to nose ride on that board but my ability and the board itself is not allowing it to happen. I'm 85kg and my break often has some chop from the wind but also from backwash and side wash from the bank. If anybody has any feedback or advice I'm greatly appreciative. Thanks Smash1. I am well aware that the stability is going to be no where near my current board. I was just after some info on whether the 28" would be too tippy for an intermediate surfer to advance his skills or am I probably not going to have much fun due to being too tippy. If the 32" was a 30" it would be a much easier decision. You will find it tippy at first going from the 32 but at your weight you will adjust. I went from a 32 wide board down to the 9"6 x 28 Runway, I weigh in at 83kgs. The Mistress at 10ft will be prefect for you as an intermediate to advance, if you love nose riding as I do the mistress will be perfect...you will eventually get use to the 28 width, you won't regret it. Thanks Greystroke. That's exactly the feedback that I was after. Someone who's done a similar step down in board size. Definitely more comfortable with my decision on the 28". Vaughan, I've been riding a 28" mistress for a month or so now after riding the runway, and would sell my runway now no worries. I'm 93kgs and have only had it out in choppy conditions and first time i did fall off a bit and noticed it tippier. Second time didn't even worry me as like the boys above said, you adapt very quickly. Paddles really well and great for catching waves. Haven't been on the nose yet as the waves were crap bit still had fun. Great board mate and you won't be disappointed. So I bought the 10ft28" mistress last weekend from the awesome team at TSBW. Great price for a quality piece of kit. Was so glad I went this way and not spending big money on a big name board. Took it out this morning for its maiden voyage and whoa. So much fun. Definitely noticed the decrease in width. Lucky the waters beautiful at the moment. So easy to turn when on the back foot and even managed to spend some time up on the nose. Didn't get the toes over the edge but I can see that it's a board that's going to let that happen. Can't wait to get back out there in the morning. Super stoked with the Mistress. I have one of the original Prototype Mistress boards and it is a keeper. Been on it since november and ride it more than my other shorter Sups as it covers more wave types and conditions. If you like cross stepping and nose riding then you will love it. Easy board to ride and chuck around. I am 87kgs and ride the 28'' version . I would like a Mistress board but after my runaway issues I'm not sure now. Hey Krist. I haven't ridden any of the boards that you mentioned so I can't compare them with the Mistress. What I can say is that it's a great board. Turns really easy from up the back and makes walking up to the nose a breeze even for my gumby feet. I have noticed a few compressions on the deck from my feet but hey, it's under a $1000. I was weighing up buying a Stylemaster or Style lord but I just couldn't justify the cost compared to the Mistress. Especially after hearing nothing but good reports about them. Took a bit to get used to the decrease in width but I suppose that's a sacrifice for a board that surfs well and doesn't feel like an oil tanker. So must be a few of these about now then,went to buy one yesterday can only pre order due August. How is everyone liking them? Never had or ridden a mal but so keen to get one of these , top looking machine. You won't regret it and a good price too. Got an email this morning saying shed been shipped ,earlier then I expected , even cooler it arrived today aswell . Unwrapped her and was hootin looks cool as, looks like im up for the early tomorrow . Finally got a good crack at her the other day,1-2 foot clean racy little ones.Paddled around a K up to where the waves were,nice easy paddle on the big girl. will they do a 9 6 mistress ? Hi, just took delivery of my Mistress. 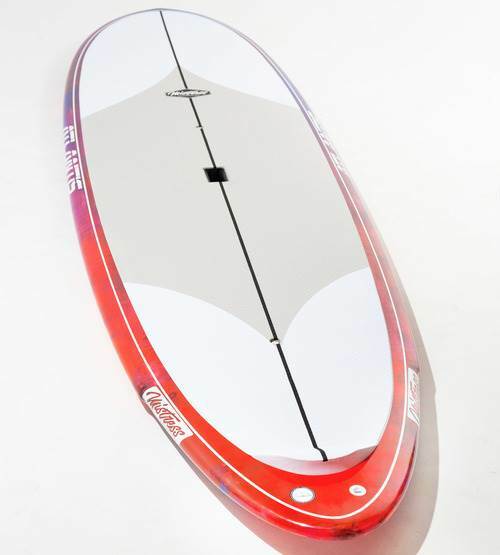 What a great looking board, took it for a flat water paddle, feels good. 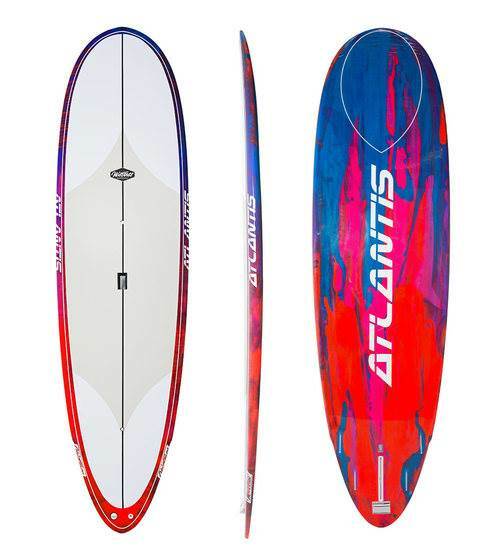 Can't wait to get it in some waves. Does any one have any feed back on these boards in the surf. In particular the 28 model?? Cheers. Looks like i will have to reply to myself! After having had a couple of surfs on the Mistress I am quite happy with the purchase. ( An alternative for shorter sup. I'm 70kg and 65yrs enjoy surfing almost anything. ) Pretty exciting being able to find my way up to the nose area , not difficult but a pleasant challenge. Board has excellent glide and catches wave with relative ease , which you would expect for a board at this length.The full deck grip is great , no need for any wax ,up front! Yet to play around with fins , currently running single 10''.seems to turn ok off the tail, probably some small side biters would loosen it up a bit! My only criticism would be the weight, ok when in the water, but wouldn't want to carry far! I wonder how it stacks up compared to other models in the 10' market? Paddles well in flat water and doesn't seem to track in either direction overly. I'm more than happy with the board shape and looking forward to working on some tip time over the coming summer months. Also looking for a good bag 10' x 28".